Secured loans, equity, mortgage, get them working for you! Secured loan, equity, mortgage, get them working for you! IS A MORTGAGE A SECURED LOAN? A secured loan is a loan where the lender can use the asset as collateral if the lender cannot/does not meet the repayment requirements. They may sell the asset to regain the amount of the loan. Interest rates are more often than not cheaper than unsecured loans as the lender holds the right to recoup costs or the asset if the repayment terms are not met. Unsecured loans are exactly what they sounds like, they are not secured to an asset. They are assessed and approved or denied based upon a borrowers credit worthiness rather than an asset. They are also known as personal loans. WHAT IS A PERSONAL LOAN SECURED BY THE EQUITY IN YOUR HOUSE? If you own your home and have built up some equity in your house you can use that equity as a security for a new loan. An equity loan works much the same as other secured loans. The lender will assess your application, mortgage and equity and decide if you can afford to repay the loan or not. The equity in your home is the difference between the value of your home and the debt or mortgage owed against it. If your home is worth $700,000 and you only owe $400,000 on your mortgage then you would have $300,000 in equity. 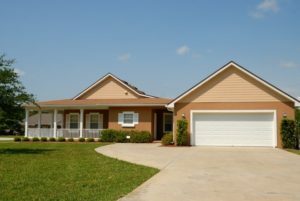 Most banks however won’t let you borrow 100% of your home’s value so you will need to take this into consideration when deciding how much of your equity you would like to borrow. You may have $300,000 in equity but lenders will vary as to how much of that equity they will lend to you. DO I HAVE TO GET MY SECURED LOAN FROM THE SAME BANK AS MY MORTGAGE? You don’t necessarily need to choose the same bank or lender as your mortgage, however it is the easier option. You should look into them as your first option as they will have a picture of your lending history already and it will help you avoid having to provide mortgage documents etc. They also have a vested interest in keeping your business as they hold the mortgage and you will be required to provide details of your mortgage to other lenders to have your secured loan approved. Jacaranda can also help you pay off your mortgage faster! A line of credit loan or LOC is a loan directly connected to your home loan that you can draw from continuously and at any time, usually at the same interest rate as your home loan. This is becoming more popular among borrowers as it offers great flexibility as to how and when they use the money from their loan. The loan is still secured against your home so if you fail to make repayments then you may run the risk of having your home repossessed. However you are not restricted greatly as to how you spend your loan, you can purchase large or small items at your discretion. Another positive of the line of credit loan is it is secured to an appreciating asset so you will usually be able to negotiate a pretty competitive interest rate which would probably not be available from an unsecured loan. Do I need this loan? What do I want this loan for? Am I financially stable enough for this loan? If you can’t answer these questions confidently then maybe you should consult with a financial advisor before going ahead with any loans. Secured loan, equity, mortgage, get them working for you! Overall rating: 4.8 out of 5 based on 60 reviews.